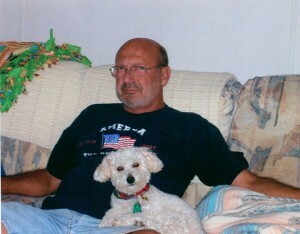 James M “Jim” Imbody, age 64, of Lakeside, OH and formerly of Marion passed away Friday, October 17, 2014 surrounded by his loving family at OSU Hospital. Jim was born July 19, 1950 in Marion to Lena (Nicolosi) and Marvin Imbody. After graduating, Jim began his lifetime career in the HVAC field, including Local Union #189 Plumbers and Pipe Fitters Union. He was also with the Marion County Sheriffs Department for several years. Jim’s dream for retirement was to move to Lake Erie, which he did with his wife Sherry. He enjoyed boating, fishing, and camping with his many friends. He also enjoyed cooking, his specialty being Italian food. Jim was preceded in death by his parents, loving wife Sherry, aunts and uncles. He is survived by his children Nikki Imbody Blevins, Cindy Imbody, Eric (Brandy) Imbody, Ashleigh (Matt) Everly of Marion, and Jim (Krissy) Imbody of Bucyrus; grandchildren, Kadie Haley, Zachary Burris, Baylee Blevins, Abigail Imbody, Tyson and Lvxi Imbody, Lexie Davis, Zane Everly and Jordan, Nate Carson Imbody; brother, Dave (Darlene) Imbody of Arizona, aunts, uncles, cousins, and Dee Imbody. The family would like to thank the staff at OSU for the special care Jim received. Jim requested no calling hours be observed. Graveside services will be held Saturday, October 25, 2014 at 10AM at St. Mary’s Cemetery. Gunder/Hall & Folk Funeral Directors are handling arrangements. www.gunderhallandfolk.com.